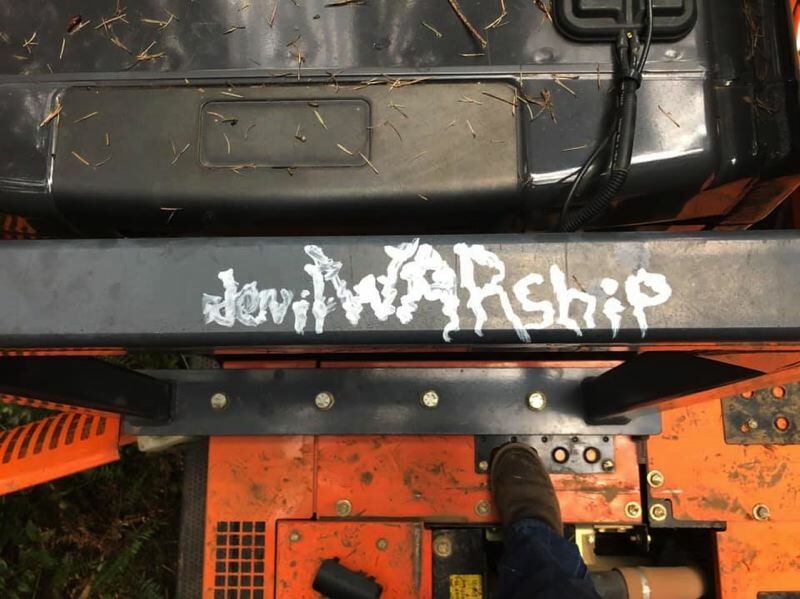 Pieces of construction equipment were vandalized and others stolen from a site near Banks early last week, according to the Washington County Sheriff's Office. Deputies responded to the report Monday, March 25, at a construction site near Northwest Davidson Road and Northwest Hawn Road. The work site, which is being operated by Luttrell's Trucking & Excavation out of Yamhill, is owned by Stimson Lumber in unincorporated Washington County. "Most of the damage was done to an excavator parked along side the logging road where it had been parked between Friday, March 22nd and Monday, March 25th," the Sheriff's Office said in a release. "The owner estimates damage at around $7,500." A camera setup at the property captured several individuals in the area Saturday night, March 23, according to the Sheriff's Office, where one of the men is seen carrying an axe that was stolen from the excavator. The company's owner is offering a $1,000 reward for information leading to an arrest, the Sheriff's Office said. Anyone with information is asked to contact the Washington County Sheriff's Office non-emergency number at 503-629-0111.